Counterpunch has an article about Bernie Sanders new single payer bill. They claim that the reasons that many Democrats are signing on to it is due to pressure from the people plus a devious scheme to “hollow it out” from the inside, to use it as a vehicle for a “public option” in other words. It is understandable why many people who are new to the issue would be enthusiastic about this bill. After all, insurance premiums are shooting sky high while coverage is going in the opposite direction. They see a government-run insurance system as a real step forward, and so it would be (despite its limitations). However, Counterpunch and those who have been involved in politics for a long time should know better. 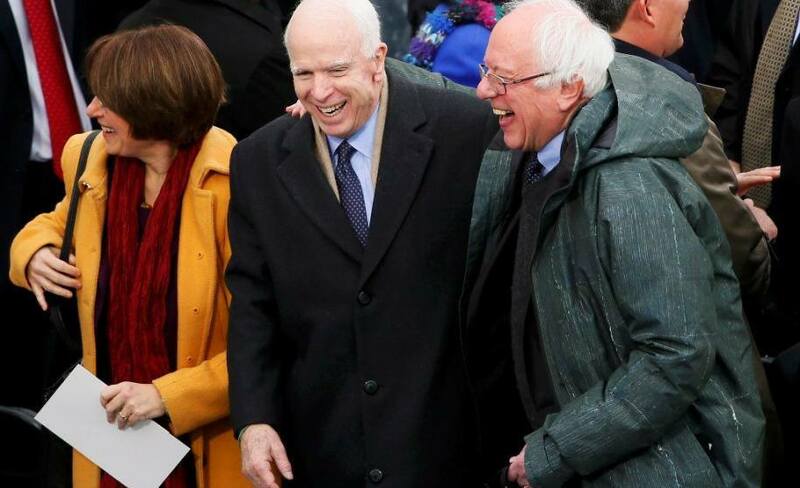 Is their memory so short that they’ve completely forgotten what happened in 2009, with a Democratic majority in congress and a Democratic president? Have they forgotten all the hearings on health care reform, where they refused to allow any single payer advocates to testify? Have they forgotten how they got some of those advocates arrested for agitating in favor of single payer? Why do they think it is that the Democrats are only piling on now, when they are in a minority, meaning that there is absolutely zero chance of the bill passing? No chance whatsoever. Zero. 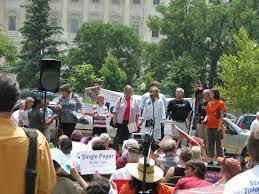 Single payer advocates protesting in Washington DC in 2009. When the Democrats were in the majority, they made sure this approach didn’t come up in hearings. 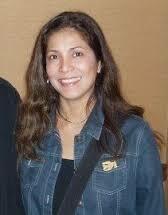 Karen Bernal, leader of the California Democrats’ “Progressive Caucus”. We are being taken for a ride again. The Democrats are simply riding this issue back into a majority in 2018 and into the White House in 2020. Or so they hope. There are lots of slips between the hand and the mouth, and given the volatile world situation there are plenty of other issues that could arise that could completely dwarf the health care issue. In other words, they will be dangling the carrot before the horse again. Anything to prevent the outbreak of starting down the road of political independence through a mass working class party. “Fool me once, shame on you. Fool me twice, shame on me.” How about fool me 200 times? That’s what the union bureaucracy and other liberal reformists are participating in. And meanwhile, these same liberals are completely ignoring the twin issue of hospital consolidation and the fact that single payer would only exacerbate that. As this article explains, what’s really needed is socialized medicine. Here’s a thought: If Roseanne Demoro and the rest of the leadership of the nurses’ union combined with DSA and similar groups and organized public meetings across the United States explaining the necessity of building a mass, working class party and linking that up with the issue of health care as well as other issues. At the same time, they could use these meetings to put up working class representatives for office at the local level. These candidates would connect the local issues with the need for a mass organization of the working class, one that would organize the class, including but not limited to in elections. This would accomplish more in terms of achieving health care reform than all the rallies for “single payer” combined. It would also create a huge break in the present political situation.